Every year Kids & Art holds an art auction with work created by our kids.The proceeds go towards the next year's workshops and programs. Cambria Gallery, the gorgeous natural stone showroom in SOMA, has invited The Kids & Art Foundation to throw a fabulous GivingTuesday Extravaganza. Power pose in front of incredible quartz backdrops, while sketch artists draw you a custom portrait and photographers capture your best angles. Codame will be in the house with a 3D scanning booth, so you can create gifs galore to that they can print into awesome figurines at your leisure. We’ll keep your cup full throughout the night and servers will be milling around with food. Win some extravagant raffle prizes, from Annaborgia Ethical Couture,Ashley Chloe, Bluxome Street Winery, Fiorella, Kanjana, Powis VR, Nom Nom Paleo, The Winery, SF, and a surprise from Pixar Studios. Join us on GivingTuesday for a night of looking good, while giving back. ArtSpan’s Youth Open Studios program provides mentorship and exhibition opportunities for young artists to thrive alongside professional artists as participants in the city-wide SF Open Studios event. 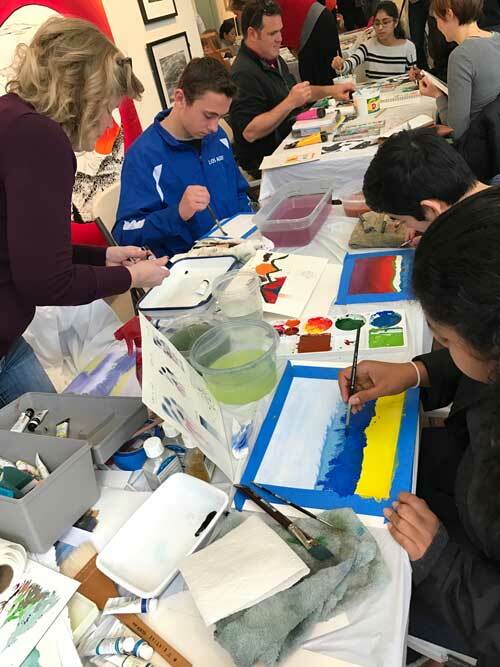 Kids & Art will have a special weekend Youth Open studios at Hunters Point Shipyard, in building 101, in the second floor Gallery, October 14th, 12-4 pm. This show will also be open to the public, Sunday, October 15th, 12-4 pm. ArtSpan believes in the power of art to enrich lives. 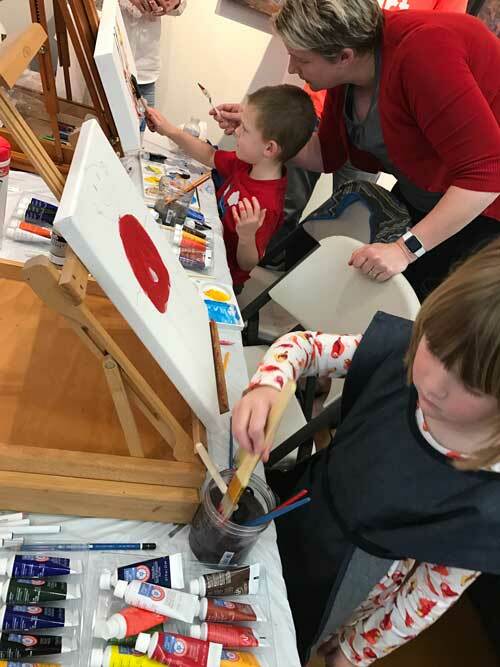 For 20-plus years we’ve championed an inclusive art experience and provided diverse audiences with an authentic connection to local art and artists. We support emerging and established artists who contribute to San Francisco’s inimitable creative energy, while bolstering the next generation of artists and encouraging the public to engage in preserving and furthering our vibrant art community. Saturday Oct 14, 2017. Hillsdale High School Little Theater, 3115 Del Monte St, San Mateo CA, 94403. IMPROV-ing Lives is a fast-paced improv show that will have you laughing ’till you cry! Similar to “Whose Line Is It Anyway?” the cast of Made Up Theater plays a series of improvised games and scenes based on audience suggestions. It’s a fun, interactive, and hilarious evening for the whole family! Hosted by Joe, Davina, Ezra, Gabriel and Evette Moussa. Oct 6. Oakland Museum of California. Kids & Art will be at Marketplace@OMCA. Oct 1st 9am to 12pm. The San Francisco Women Artists (SFWA), one of the oldest nonprofit art institutions in California, has played an active role in the city’s arts community since 1887. The SFWA gallery is located in the vibrant Inner Sunset district of San Francisco. SFWA kindly invited Kids & Art to exhibit artwork alongside its juried show during the month of July on one of its salon walls. Members and visitors enjoyed the children’s art and learning more about the Kids & Art Foundation. All proceeds from our art sales went to Kids & Art Foundation. Kids & Art Foundation is pleased to announce it's Youth Art Exhibition at the San Mateo Public Library. On display are wonderful works of art created by pediatric cancer patients (2 years to 26 years), their siblings, and carecircle. The art on display was created at workshops held at creative venues like Pixar, Google, Sanchez Art Center, Pacific Art Guild, and more. San Mateo Public Library: Saturday, June 17 in the Cedar Room. From: 2:30p.m. - 4:30p.m. Drinks, dessert, and beautiful art to talk about. We hope to see you there. Please do RSVP so we know what to expect. Walk ins are welcome too. We will create cards for Father's Day. So come with dads to view this art and make it a special family experience!